Code Creator's SONARQUBE Platform is a web-based, open platform application for continuous inspection and management of code quality. 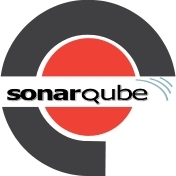 Code Creator's SONARQUBE Platform is a web-based, open source platform application for continuous inspection and management of code quality. Utilizing powerful tools to collect, evaluate and track "code analysis" data, this software helps developers find problematic areas in the source that require improvement. Everything is evaluated; from architecture and design to potential bugs, code duplication, unit testing, coding rules, styling errors and design inefficiencies to produce real business statistics and enhanced technical metrics.